Main Function: Improves metabolic rates and bone density, reduce appearance of cellulite, lead to increased muscle density, strength, improved balance, coordination, posture, and bone density. 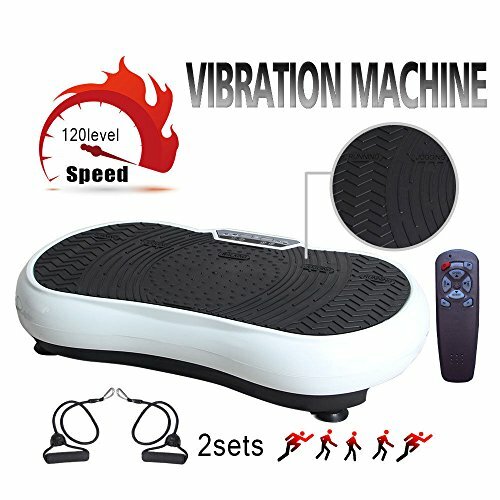 Full Body Vibration: Vibration assisted exercise can accelerated fat burning, weight loss, incorporates upper body, lower body and Core Workouts, effective improve muscle strength, flexibility and circulation. Easy Use: Vibration platform machine have detachable handheld resistance bands, remote control can adjust oscillation, vibration, program and time. Portability: Convenient to use at home and office, perfect for sports training and athletes, or anyone looking to accelerate weight loss and burn fat. Tip: If you have any questions, please to contact us and we will provide you with the best service. If you have any questions about this product by PROMOTOR, contact us by completing and submitting the form below. If you are looking for a specif part number, please include it with your message.